Skylark Blog: Is Fair a Dirty Word in Divorce? I recently read a post entitled "Why 'Fair' is the F-Word in Divorce Negotiations" by Shawn Weber, which posits that fairness, as a subjective concept, bogs people down and can keep them from reaching agreements. 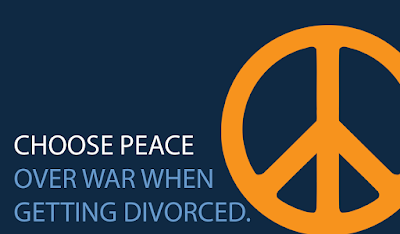 I agree with Mr. Weber that the focus of divorce negotiation should be "on making a decision that can end the conflict so that a person can move on, which in turn will bring peace." However, I also believe that sometimes understanding the concept of "what is fair" to a person is integral to a couple finding peace. Mr. Weber rightly points out that asking the question "what is fair" will often result in two answers that do not intersect. Consider, for example, a hypothetical couple fighting over whether the children are ready to meet the mother's new boyfriend. The mother may think it's unfair for her not to have the choice of when is the right time to make that introduction, and the father may think it's unfair if he doesn't have a say since they are his children too. If we only ask "what is fair" this may seem like an intractable disagreement. We want clients to be reasonable about the fact that a potential court outcome may not feel "fair" and therefore they may not have many options. But if we throw out the concepts of "fair" and "unfair" altogether, then the benchmark for deciding resolution still has to come from somewhere. If the only measuring stick for resolution is the law, then people are just substituting what lawyers and judges think is fair for their own judgment. When people choose an out-of-court settlement option, like mediation or collaborative negotiation, one of the advantages is that they don't have to accept the limitations of the law. For some that freedom is too broad, because it means they can't rely on the legal benchmark for what is a reasonable resolution. But if we don't make "fair" a dirty word, and instead encourage people to explore why something feels fair to them, then they are more likely to find something else on the way to resolution: understanding. Ultimately, I believe if we treat "fair" as a dirty word then we are limiting our clients to compromise rather than helping them reach agreements through understanding. Even if the resolution is the same, approaching a solution from a point of understanding instead of compromise is the difference between a feeling of "gain" versus one of "loss." In cases where the parties may have an ongoing relationship, such as co-parenting after divorce, this could be the difference between resolving conflict and postponing it. Visit our website to learn more about conflict resolution options, and if you want to know more about The Power of Questions to elicit understanding check out this upcoming training from MCLC.